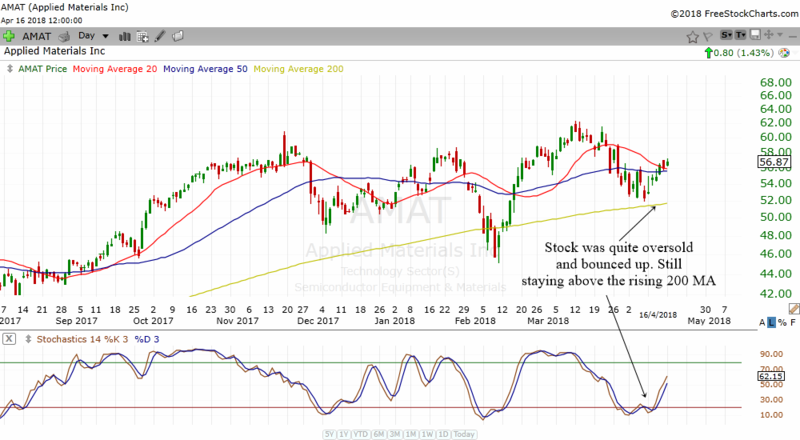 In this article we will have a look at AMAT from a technical perspective to try and see what AMAT is likely to do. We will try to decipher what AMAT's price action is telling us about the stock. AMAT is one of those stocks that has been chugging higher over the years. Most of the time it has been staying above its rising 200 MA barely going below it. This is a sign that the stock is still in a very bullish long term uptrend and therefore long term investors should remain bullish on this stock. Recently the stock got quite oversold. The stochastics formed a double bottom and gave a buy signal and the stock bounced up a bit. 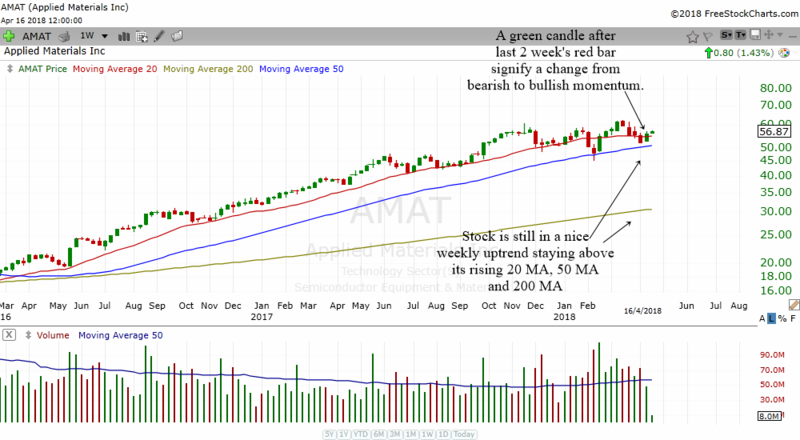 The weekly chart above shows us how AMAT has been staying above its rising weekly 20 MA, 50 MA and 200 MA most of the time. This is a sign of long term bullishness. Last week the stock had a green bar after 3 red bars and this signifies a change of bearish momentum to bullish momentum. Therefore, the stock might end up going higher this week. 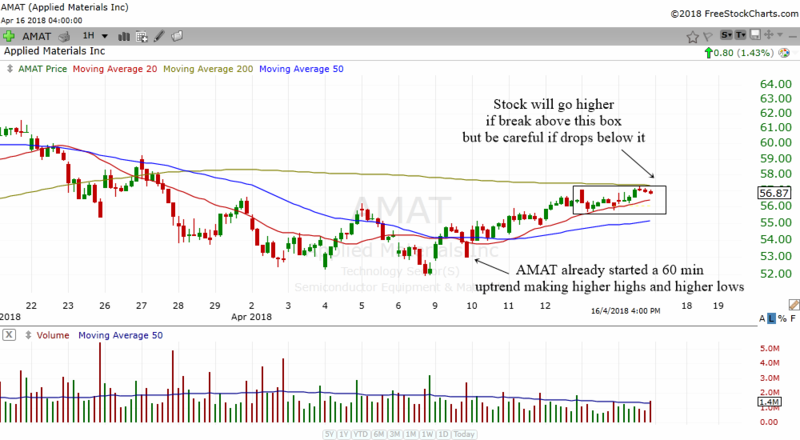 A look at the 60 min chart of AMAT tells us that the stock has already started a 60 min uptrend after a downtrend. AMAT has gone above its 60 min 20 MA and 50 MA and the moving averages are hinting to an uptrend in this time frame. AMAT has definitely made a higher high and higher lows. I have drawn a box over a 60 min consolidation. If AMAT's price can break above this box then it will continue to move higher. On the other hand, be careful if the stock drops below this box.